BRP’s Ski-Doo snowmobiles is introducing the new Helium Pro Jacket to bring the next level of advanced outerwear to active crossover and cross-country riders both on and off trail. 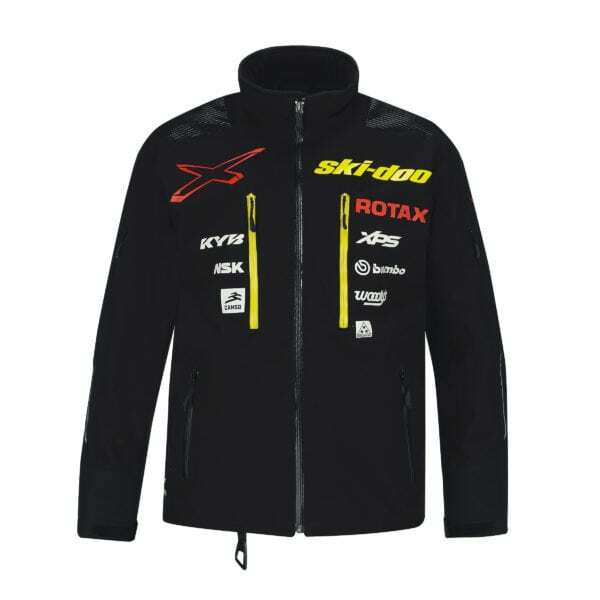 The jacket combines features and technology from hyperactive mountain wear and extreme cold weather riding gear to form a product that will answer these riders’ needs. The contemporary styling is aggressive but tasteful, with a fit and key features to provide ultimate functionality for demanding riders. The thoughtful design includes many elements like front and bicep venting that is accessible even when wearing a backpack back. The shell of the Helium Pro Jacket was developed with lessons learned in the mountains; it features a tough, high-tech Cordura material with a Sympatex membrane to provide high performance breathability and the best water and wind resistance. Riders will appreciate the toughness in tight tree riding and the ability stay warm and dry even in wet conditions as the membrane protects against outside elements while allowing perspiration to evaporate. All Sympatex gear features a lifetime warranty also. Balance in warmth is key to Helium Enduro gear design. Insulation in the Helium Pro is high performance Primaloft Black in a lighter amount than typical insulated jackets so riders remain comfortable in active riding – in cold conditions. Primaloft Black works with the Sympatex membrane to facilitate better breathability also. There’s matching Helium Enduro Highpants available in XS-3XL also, and for those wanting less branding, the Helium Enduro Jacket offers a modern adventure motorcycle type look with the same benefits. Pricing for the Helium Pro Jacket is $419.99 USD or $524.99 CAD.